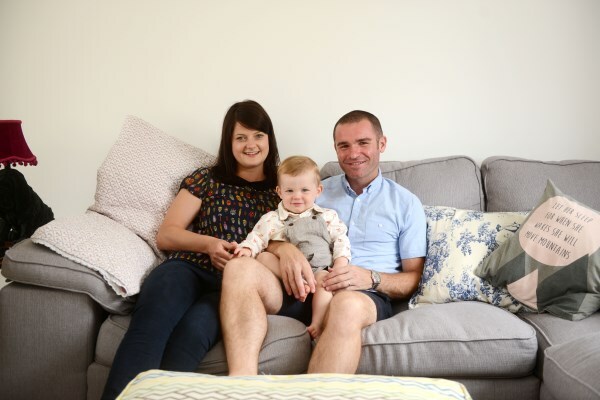 Teachers Dean and Josette Moss were thrilled with the speedy service Bovis Homes provided when they moved into their new home in Banbury with their 17-month old son, Henry. The couple became homeowners when they moved into the Montpellier II at Longford Park in Oxfordshire with the overall process taking just a few months from paying the deposit to moving in. "I never thought we'd move in so quickly. The Sales team were great and were on hand to answer all of our questions" said Dean. "They helped to speed up the process and were doing a lot of chasing to make sure we were in on time." The couple, who were previously renting, fell in love with the home when they first saw it. "It was beautiful. The proportions were excellent and just what we wanted." The four bedroom family home has a fitted kitchen and integrated appliances, with French doors out to the garden in the sitting room and a master bedroom with an en-suite and fitted wardrobes. "Josette loves the open plan kitchen and dining area, and the home is safe with a good layout for Henry. We were also really impressed with the bedrooms, which were all a really good size compared to previous homes we had looked at." Looking to buy in Bicester, where they were renting, Dean and Josette looked at other homes and couldn't find anything which they liked, but when they visited the Longford Park location the home ticked all the boxes. "We looked at other house builder developments, but something which really attracted me to Bovis Homes was the build quality which certainly seemed superior." "We were closer to Josette's work, and as first time buyers we had the benefit of the help-to-buy scheme, which meant we could buy a house which was in accordance with our wage, but without having to worry about finding a large deposit." "Bovis Homes have been fantastic from start to finish. There were a few snagging issues, which we expected from a new home, but they were resolved quickly and the Site Manager was excellent. We're really happy here and looking forward to being here for many years to come!"